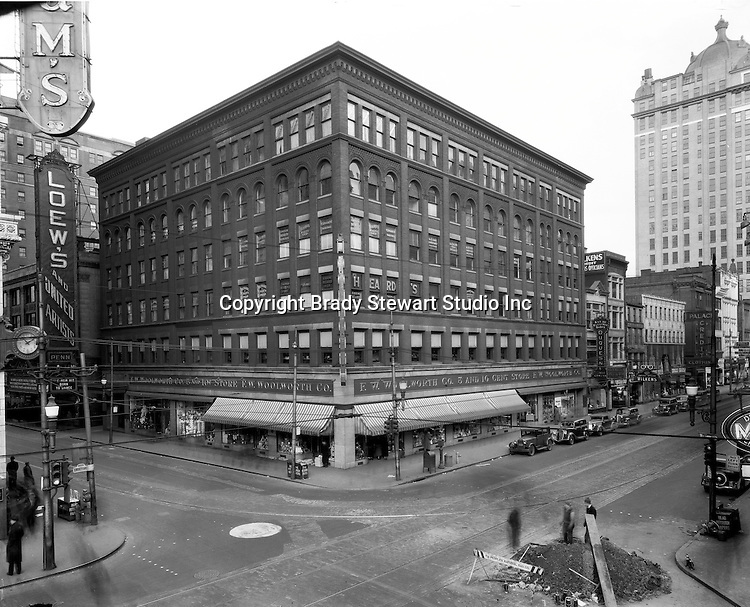 Pittsburgh PA: View of the FW Woolworth Building at the corner of Liberty Avenue and Sixth Street - 1935. Clark Building in the background and the popular Loew's Theatre on Sixth Street. Heinz Hall is currently located in same location on Sixth Street and Penn Avenue.